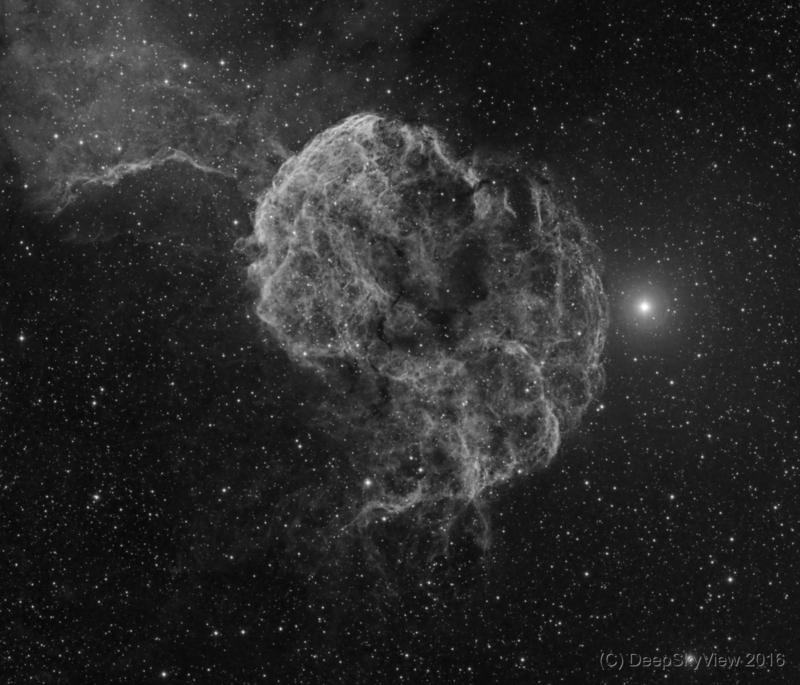 An image of the Jellyfish Nebula, IC443, in Ha light. Composed from a total of 8 hours of exposure time. Just a first snapshot of this target… more is comming. I hope you enjoy my deep-sky images and this site. Get in touch with me via the contact form if you have questions or want to use my image for your purposes. Also check out my pictures at AstroBin and at the DSO Browser. Copyright © Robert Roth, DeepSkyView 2019. All Rights Reserved.